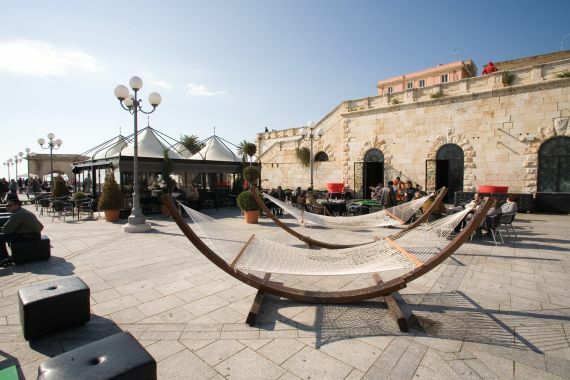 The 'Caffè degli Spiriti' located in Cagliari, at the terrazza of the fascinating Bastione San Remi, in the district of Castello, heart of Cagliari's old town, offers an innovative cuisine that combines traditional flavours blended with the fusion of other culinary cultures. It also offers a good menu with pizza and salads. It is the perfect place to relax on the most panoramic and exclusive terrace of the whole city.